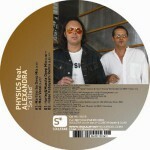 Physics are the two long time friends from Malmoe, Sweden, Mikael Surdi and Torbjörn Olsson, They've been producing quality house music for three years - an eclectic blend of Deep, Latin and Jazzy House and, on rare occasion, more funky uptempo grooves. 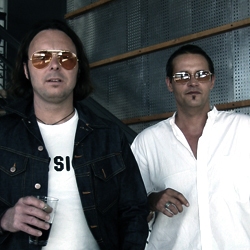 Their career took off when they got signed to swedish label Deeplay Music. Here they have released the major part of their singles with great success. They have been featured in all major Uk and Scandinavian magazines with top reviews ever since the beginning. Almost all of their released singles have been getting great reviews and support, to name some of the top releases, we would like to present: ‘City Lights’ which also was signed to Eric Kupper own imprint Hysteria, ‘Don't Deny Me Love’ which was Hype Charted No 2 in the Uk and also ‘The Most Beautiful Boy in Brazil’ which is an Brazilian monster anthem. In the year 2002, they released the debut album ‘First Flight’ on Deeplay Music. Once again with top reviews all over. Dj Mag voted it as one of the best albums 2002. Almost every track of the album has been licensed to various compilations all over the world with Hotel Costes and 2 different Hed Kandi releases and Ministry of Sound's Chill out as the highlights. 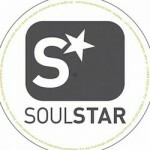 At this stage, they are now concentrating on doing more remix work for other labels and artists. Due to the work with the debut album, they had to turn down remix but now they are working with excellent musicians and the remixes are taken very serious since both of them are perfectionsists and works a lot with every single detail. They have an amazing six members live set, up which they have been doing for the latest period in Uk, Denmark and Sweden at various clubs and festivals. Fully Live, which is very unique. On some occasion they get support by a seven player of bassplayer Mr. Gone of Tru Method.